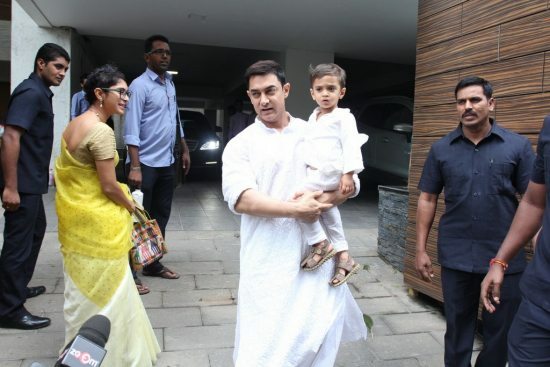 ‘Dhoom 3’ star Aamir Khan enjoys Eid with wife and son. 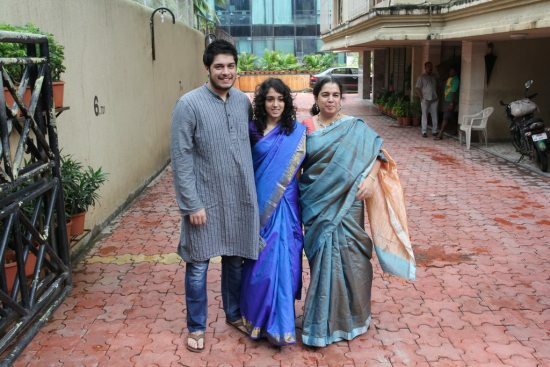 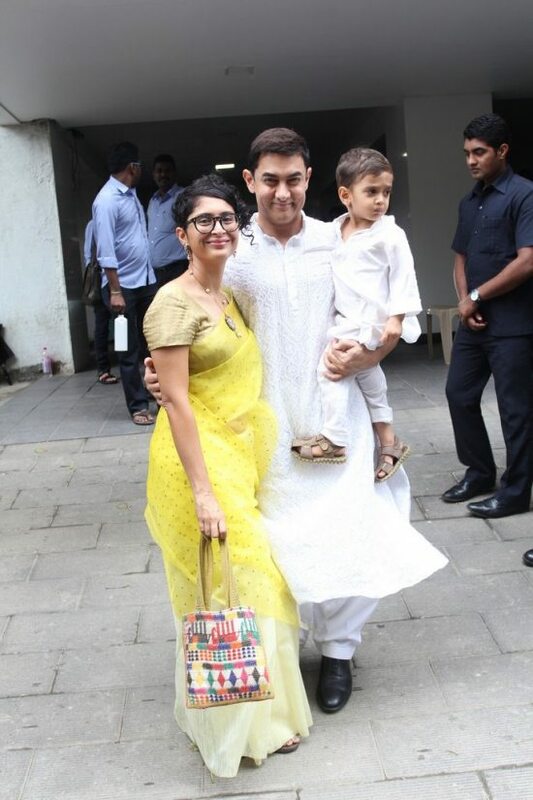 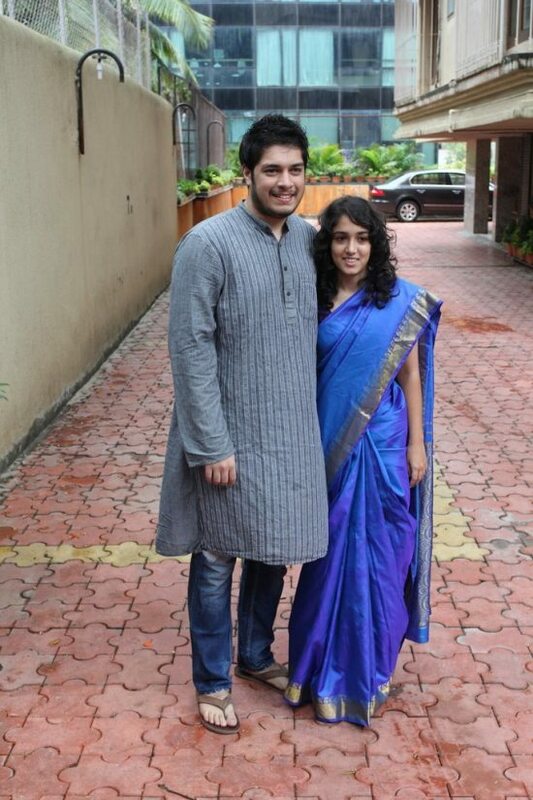 Bollywood’s Mr.Perfectionist – Aamir Khan – celebrated Eid with his wife Kiran Rao and son Azad on July 29, 2014. 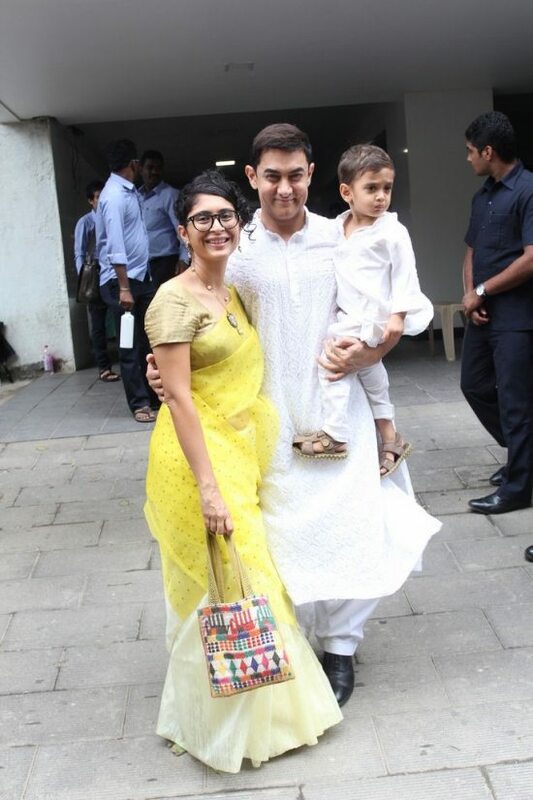 Aamir, Kiran and little Azad made for a picture perfect family portrait. 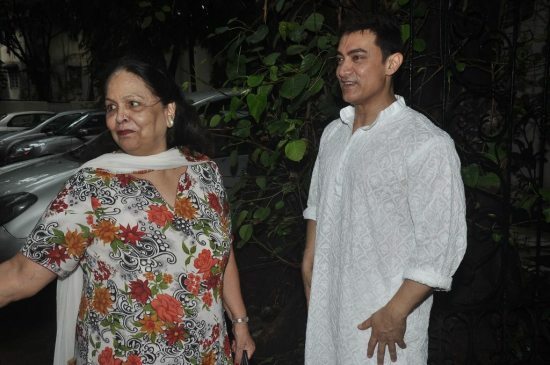 Aamir’s nephew and Bollywood star Imran Khan along with Aamir’s son (Junaid) and daughter (Ira) also celebrated along with the star. 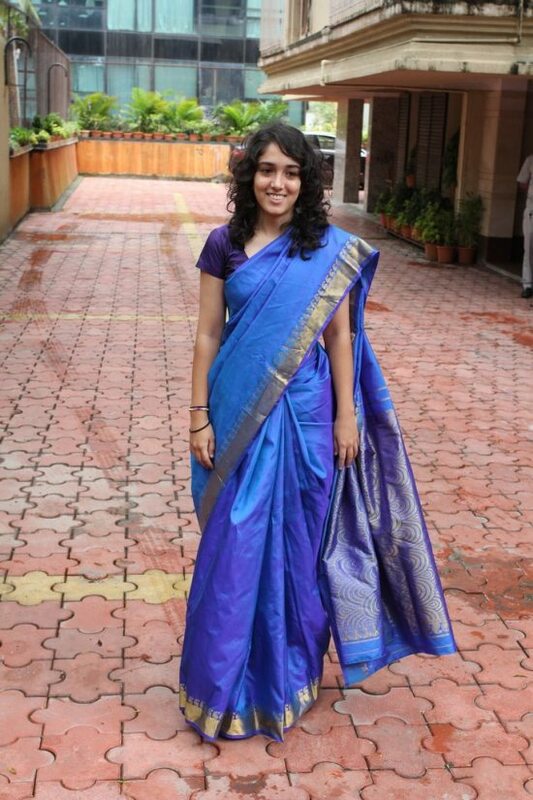 Kiran looked her trendy self in a lemon yellow saree paired with a beautiful neckpiece and her characteristic geeky glasses. 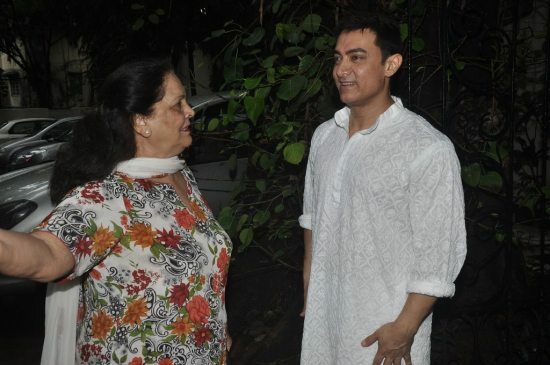 Aamir looked absolutely regal in an all white Indian attire. 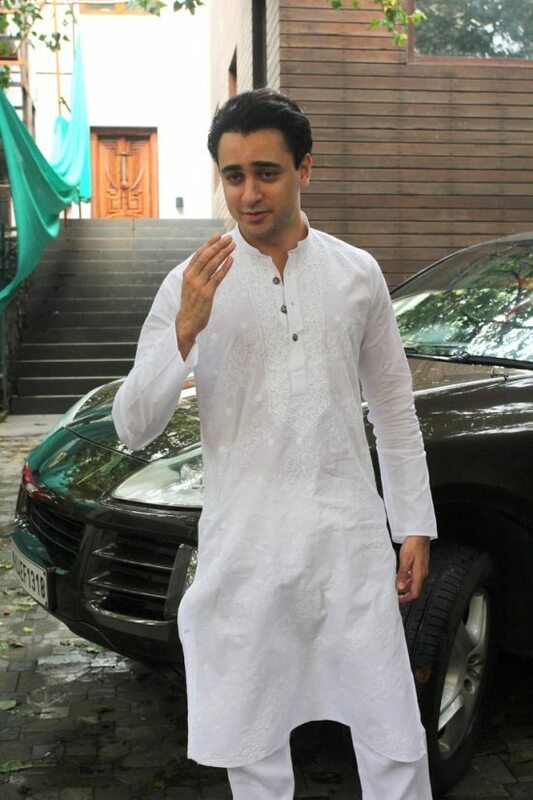 Young azad matched his father’s outfit in a cute little white kurta pyjama. 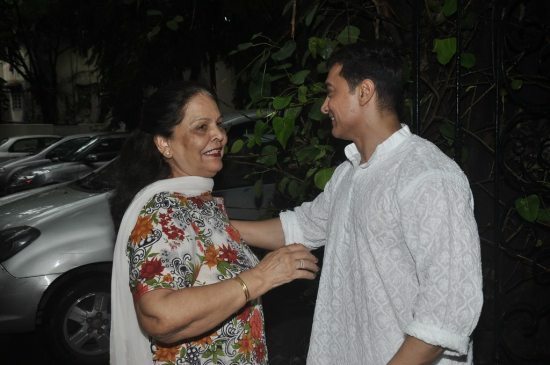 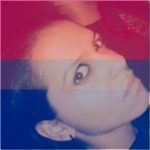 The ‘Lagaan’ star was last seen on the big screen – Dhoom 3 – in 2013. 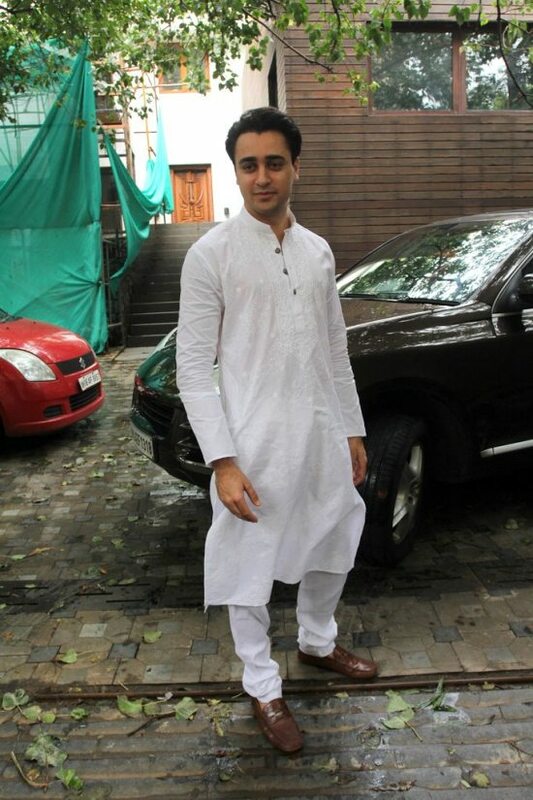 His next film will be a 2014 release – P.K (Peekay), directed by ace filmmaker Raj Kumar Hirani, the film will also star Anushka Sharma, Sushant Singh Rajput, Boman Irani and Sanjay Dutt.